Achieve your health goals with the Microsoft Band 2, which uses eleven sensors to offer insights into the way you train with Microsoft Health. The Microsoft Band 2 features a UV monitor, barometer, GPS and more help you understand your daily activity so that you can work towards and achieve your targets. 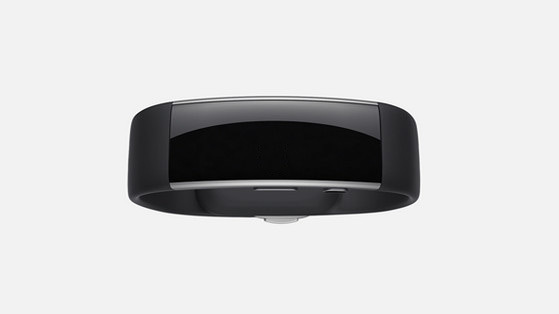 Continuous heart rate monitor tracks your heart rate, calorie burn and sleep quality. Tracking for running, biking, golf, and more. Microsoft Band 2 comes in three different sizes so you can find the most comfortable fit for optimum performance and comfort. 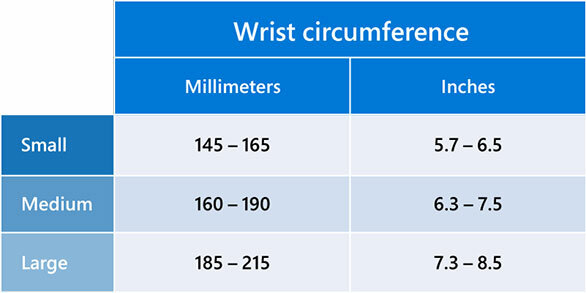 To help you find the best fit, measure your wrist circumference with a tape measure, or print out the sizing guide on the right of this page and wrap it around your wrist. Then, reference the chart to find your size. 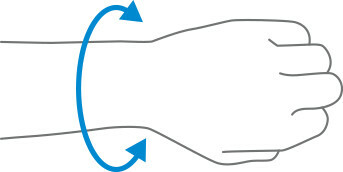 If your wrist circumference falls between two sizes, choose the larger size for the most comfortable fit. Important: Microsoft Band 2 fits differently than previous versions. 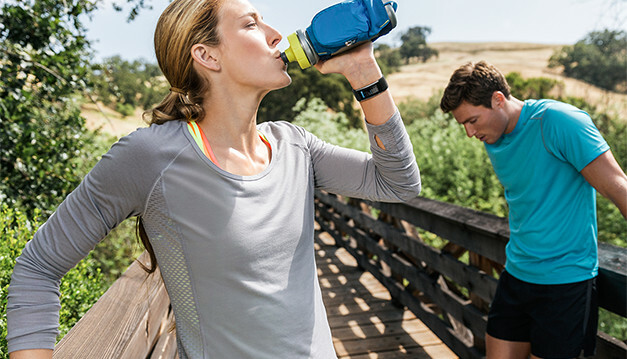 Use the Microsoft Band 2 to start living more healthily. With a continuous optical heart rate monitor, it tracks your heart rate, steps taken, stairs climbed, calories burnt, exercise and sleep quality, so that you see a clearer picture of your daily activities. Track your weight and compare it with historical data, and get actionable insights and useful fitness information in the Microsoft Health phone app and web dashboard. Set wellness goals and get actionable insights to help you start living a more healthy life with easy to understand full-colour charts and graphs. As well as the convenient phone app, you can also use the robust web dashboard to track your day wherever you are. Get a better understanding of your cardiac health, whether it’s your maximum heart rate while working out or your resting heart rate during downtime. Understand your night-time movements with the sleep tracker which analyses your light and restful sleep cycles, your sleep restoration and sleep efficiency, and number of times you wake-up each night. Hit your target weight milestones with weight-over-time tracking. 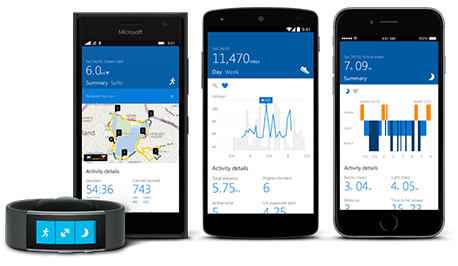 It gives you a visual reference via the Microsoft Health app and makes it easier to reach your goals. However you want to exercise, the Microsoft Band 2 makes it easier for you to reach your fitness goals with custom tracking. Microsoft Band 2 has you covered with GPS mapping and data tracking for the most popular exercises and metrics. Guided Workouts, designed by professionals like Nuffield Health and Men's Fitness, provide more variety with exercise prompts to help you stay motivated. View a summary of your run, including heart rate, calories burnt, GPS coordinates, lap times, and personal bests. See recorded maps of your runs and analyse your data for ways to improve and adjust your routes to get the most out of each run. Sensors measure your cycling heart rate, and deliver insights specifically tailored for both indoor and outdoor bike rides. Track speed, distance, elevation and personal bests. The built-in GPS detects which hole you’re playing and provides distance to the top, centre and back of the green. Automatic shot tracking manages your scorecard. See the difference with expertly-designed workouts from fitness brands like Gold’s Gym, Shape and Men’s Fitness. Keep track of your reps, calories burned and progress towards your goals. Keep your phone in your pocket or bag while you preview emails and get all your calendar notifications on the go. Stay productive even when your phone is away with Cortana personal assistant and Windows Phone 8.1. 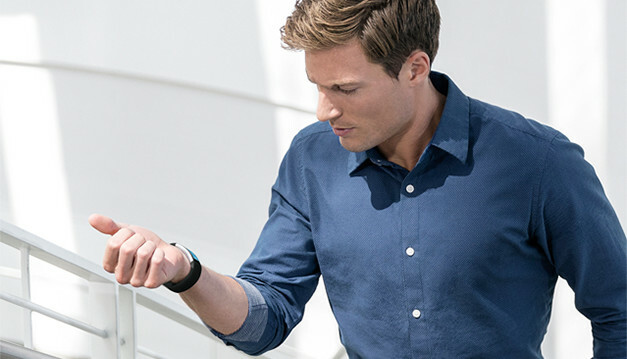 You can reply to texts, take notes and set reminders with your voice directly from the Microsoft Band 2. The notification settings on your phone determine what will appear on your band. Decide to receive only texts and call notifications on your wrist or get your Facebook, Twitter, weather and finance updates too. Tap the Do Not Disturb icon to turn all notifications off. See incoming calls and voicemail notifications on your band. Reply instantly with a standard quick response like "I'll call you later" or choose one that you've created in the Microsoft Health app.4 Tap the Do Not Disturb icon to turn all notifications off. Time your laps or your entire workout with the stopwatch feature. Set the timer to keep track of time, whether it's keeping up the intensity for a set duration during your workout or timing a 15-minute power nap. Real-time weather conditions and a 5-day forecast help you plan your week, so not even bad weather will disrupt your training regime. Stay up to date on Facebook without having to check your phone. Get the latest status updates, comments and photo notifications on your band. Tweets, mentions, retweets, messages and new followers - set your preference for notifications and see what you want to. You can choose how you get alerts from your social channels, like Facebook and Twitter. Change the notification settings on your phone and they will sync automatically to your Microsoft Band. No need to reach for your wallet. Enjoy coffee on the go with your Starbucks Card ready to scan right from your wrist. Quick Read helps you read text, emails and other notifications, especially when you're on the go. A large font size and the rapid succession of words enable you to read messages while in motion and without having to scroll. 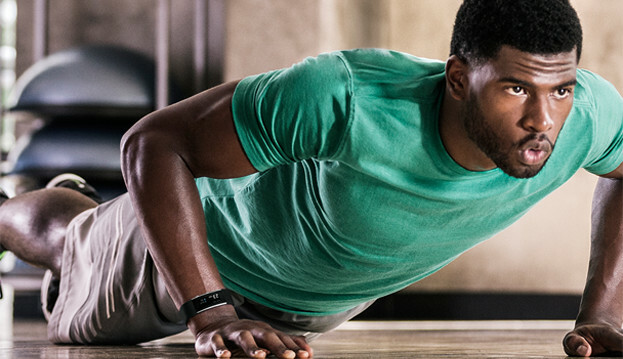 Work towards completing all your health goals with Microsoft Band and Microsoft Health. The curved screen on your band makes it comfortable to wear while the eleven advanced sensors track your exercise, sleep and daily activity. The bright colour display is easy to see at any time of day so you’re not limited to when you can exercise. Receive hints and actionable insights to stay motivated with Microsoft Health that bases all suggestions on your data. Keep your skin protected and find out if you need to put on sunscreen with a built-in UV monitor that measures the UV index and helps prevent skin damage. Track your fitness with precision thanks to a built-in barometer that measures elevation changes while hiking, biking, or just climbing stairs. Set wellness goals and get actionable insights to help you live healthier. Microsoft Health combines your fitness data with the power of the cloud giving you actionable, personalised insights, empowering and motivating you to live healthier and achieve more and push yourself forward. Analyse your data in full-colour, easy to understand charts and graphs in the convenient phone app or the robust web dashboard to stay connected at all times, wherever you are. Have an iPhone, Android or Windows Phone? No sweat. Microsoft Band is designed to work just as well no matter what phone you own. Stay powered up with an extra USB charging cable so you can keep one at home and one at work and always be ready for your next workout. 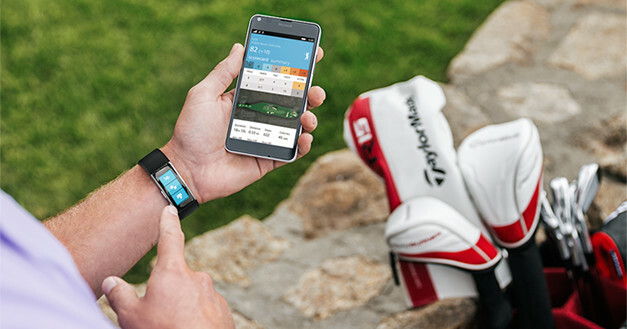 Track your golf game with Microsoft Band and TaylorMade. Your band provides distance to the front, centre and back of the green while it tracks your strokes, steps, heart rate and calorie burn. 1 Microsoft Health app required; available in English only. 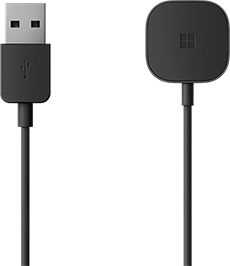 Works with Windows Phone 8.1 update, iOS 7.1 or later, and Android 4.3-5.0 phones, with Bluetooth. 2 Works with Windows Phone 8.1 update, iPhone® 4S, 5, 5C, 5S, 6, 6 Plus, iOS® 8.1.2 and Android™ 4.3-5 phones, with Bluetooth. Android is a trademark of Google Inc. iPhone is a trademark of Apple Inc.
3 Cortana only available with Windows Phone 8.1 update. 4 Instant quick response does not work with iPhone. 5 Works with Windows Phone 8.1 update, iOS 7.1 or later, and Android 4.3-5.0 phones, with Bluetooth. Cortana only available with Windows Phone 8.1 update.